is the first step in the bag creation, the designer responsability. The designer draw the new model, taking inspiration from the latest fashion trends to create something unique and original. The goal is to create a product that meets the women needs and at the same time, maintains a special touch of elegance and originality. 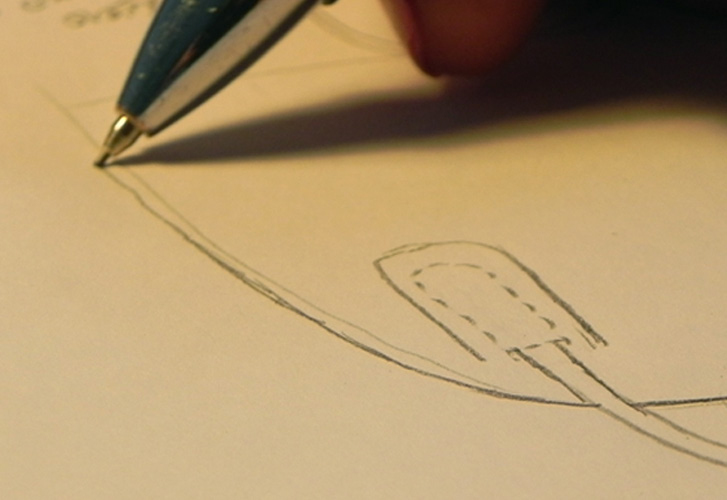 Each line must improve and enhance the quality of the material used. Moreover the choice of the accessories must be carefully designed to make a practical and stylish bag. the passage from the design to the prototype on cardboard is very important. This phase requires capable hands because the final product cannot be different from the idea of the stylist. 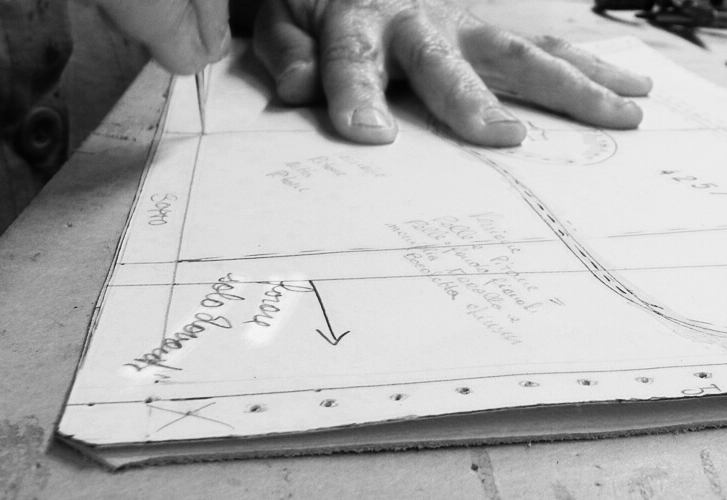 The following step is the creation of the first prototype, usually realized with specific materials. Then, all the details are reviewed and modify in order to obtain the result that the stylist is looking for. Ghibli never produced bags with python’s skins purchased in the tannery: the Firm directly acquires it from the Indonesian holdings of python. The skins are raw, natural, ready to be hand painted by Ghibli masters in this field, all this happen inside the Firm. The staff, in parallel with the style and the model sections, research the fashion tendencies and inspirations: they create in this way the colors drafts on paper through the use of the pencils. The colors are translated into chemical formulae and, after chosen the best, are cleverly drawn by hand through the use of brushes. To realize and finish a single skin of python of 8/10 meters the time can vary from 24 to the 72 hours. Atmospheric conditions are a very important: if there is a humid environment, the drying times of the colors will be longer. For this reason every single Ghibli product is unique, because it shows the whole passion for the craftsmanship 100% Made in Italy and the love for the luxury. 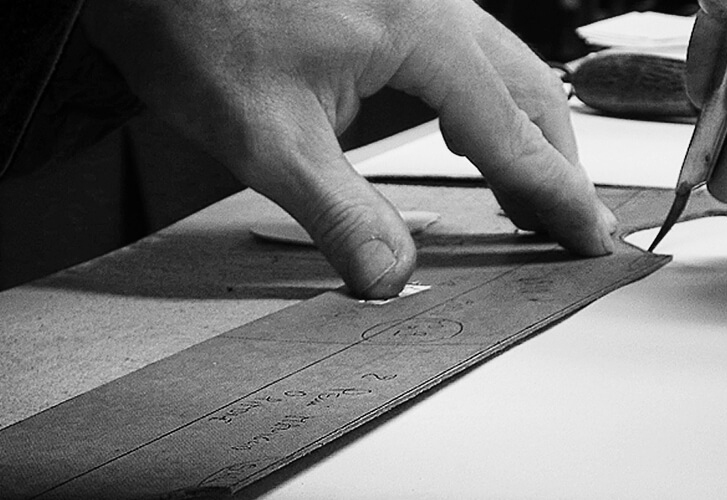 after the first prototype development and improvement, the product starts to be produced.An expert craftsman makes the leather selection, ensuring in this way, a preventive quality control. 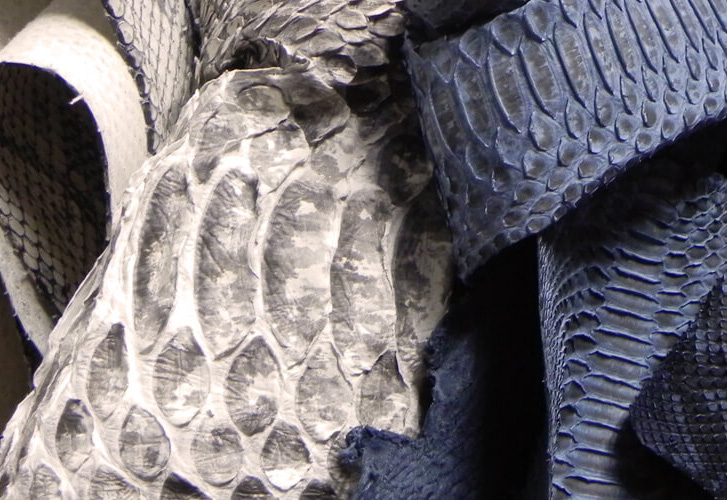 The person specialized in hand-cutting of exotic skins, cuts the python depending on the needs for each bag and the staff prepares the materials for stitching and finishing each individual component, avoiding waste.A further step in the long process of producing a bag, is its finishing: the product was stitching in part by hand and in part with the use of sewing machines, but it is not complete and is still very different from the final product. Are missing, in fact, all the important details, as buckles, zippers, metal accessories and components. During the bag finishing process it is carefully examined and improved. 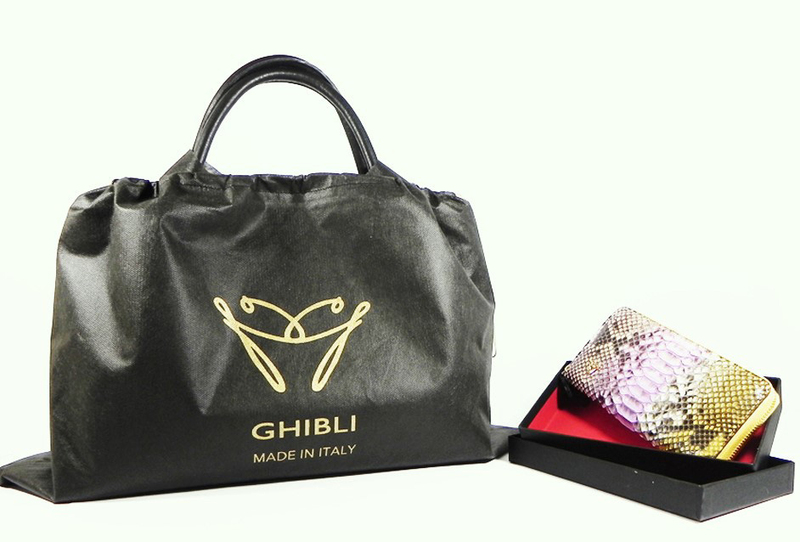 Ghibli woven bags are symbols of the manufacturing art that set this company apart. The realization of a woven product is completely different from the python one. First of all the person who selects the goat and calf leather have to be an industry expert. Ghibli uses only the excellence of the luxury woven method, called tubular. It means that each single leather strap, after a long manufacturing process in which the skin is folding on the edges, passes through a very special machinery provided of rollers which fold the skin on itself, forming a single uniform strap that has good leather in front and behind. 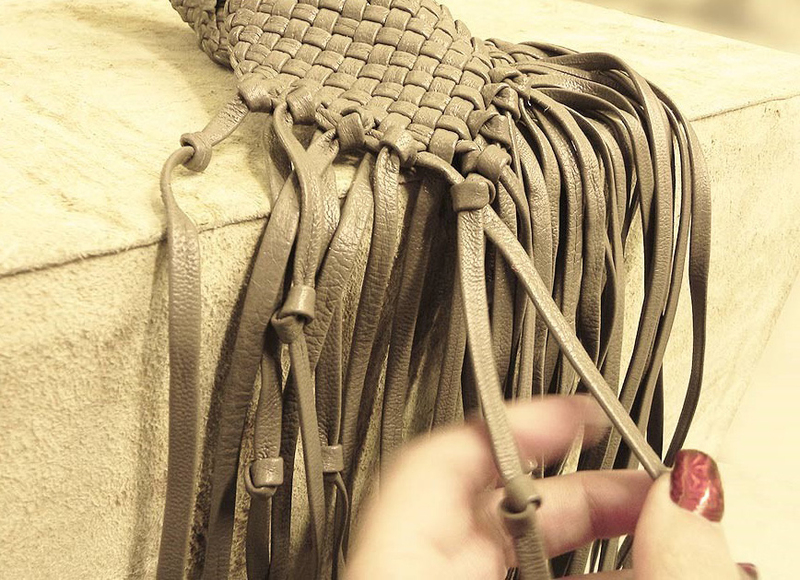 After that, a person of great experience, begins to woven the leather straps placing them on an ancient wood shape. Thanks to his ability the bag has no stitching but is woven in one piece on the shape. It is not possible to achieve this method through machinery, it must be done only by hand. There are very few and rare artisans who are able to make bags woven in tubular methods, nowadays. Ghibli wants unically the best for its customers. finally the bag is thoroughly cleaned and inspected by specialized quality control staff. Soft sheets of tissue paper are placed inside the product so the bag manteins its shape. After it is wrapped in soft nylon bag with anti-scratch protection for accessories. Finally, the bag is packaged in a precious black gold logoed cotton bag, closed by practical golden cords. The wallets and accessories are instead placed in their elegant and luxurious packaging in black matte coated paper with shiny contrast logo and red interior.